Wildlife woodlands should be created and managed to try and replicate our ancient natural forests. The many diverse habitats that we CAN create will never stay the same. 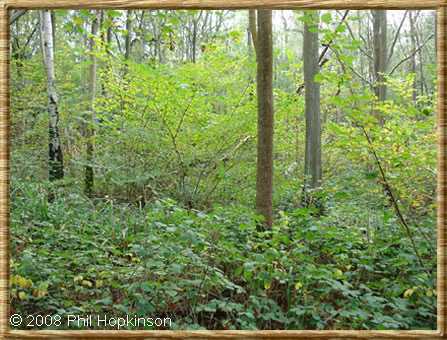 What we need to do is create a mosaic of various habitats by setting up a coppicing plan, whereby a patchwork quilt of habitats is created using the coppicing with standards management regime. 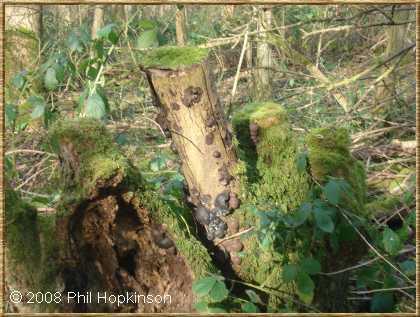 AS much standing dead wood as possible should be kept.If there is very little standing dead wood then individual trees should be ring barked to create standing deadwood. Make two thick cuts, about 20 cm apart, around the trunk and deep enough to cut through the bark and into the wood. The bark between the two cuts should also be stripped from the tree. In addition trees should be identified to become veterans. 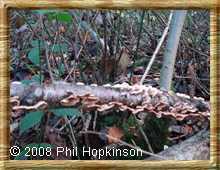 These provided deadwood habitats that once existed throughout the wildwood providing habitats for rare fungi, invertebrates, lichens; birds and bats. Their structural complexity creates many habitats that do not exist on younger trees. All these practices will create various types of timber for the smallest creatures to breakdown. Thereby starting the life cycle of the wood on which everything else depends.